Acoustic music with harp and voice. Celtic, medieval/renaissance, and sacred music, uniquely interpreted. Original music, played with expression and a Celtic lilt. 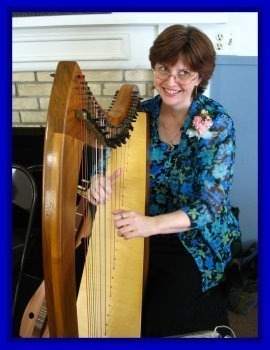 Simple, elegant arrangements, played on lever harp for your special occasion or celebration in the Bryan-College Station, Texas and surrounding area. Celebrate with music! Let the magical tones of the harp enchant you! Please email for specific rates and more information.